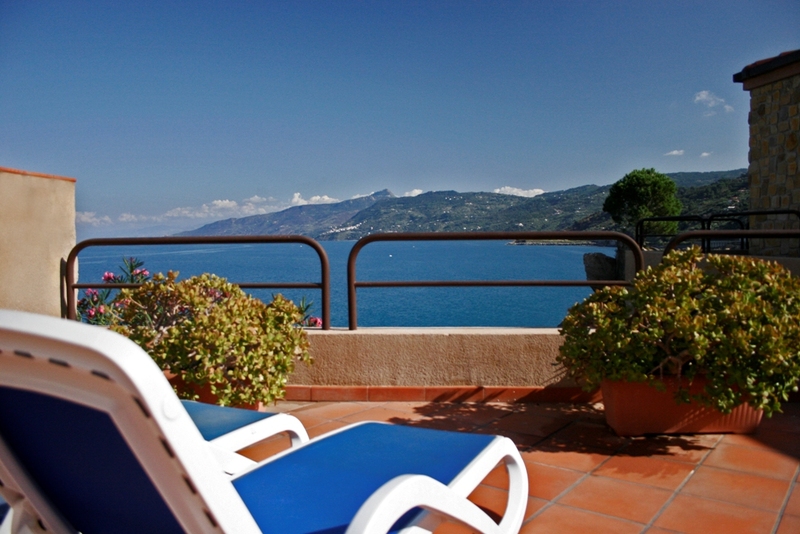 Apartment “Ester D” with Sea View – for 2 people! 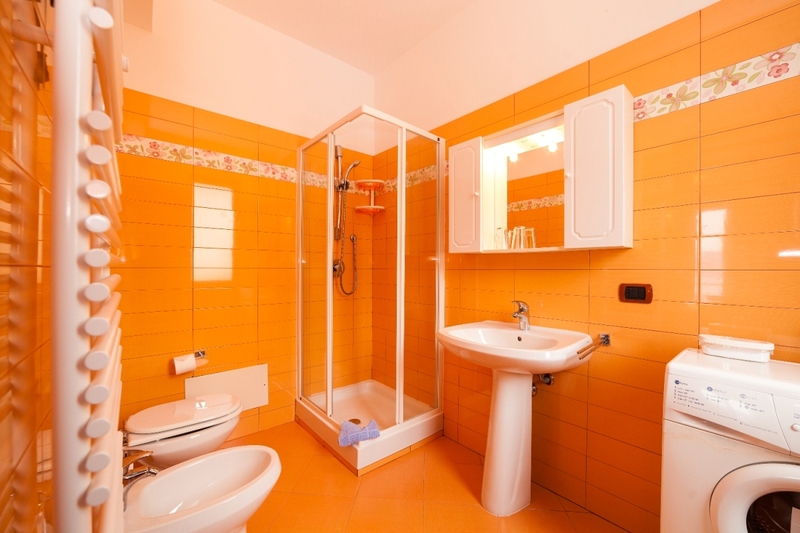 This apartment has 1 combined bedroom/livingroom with a double bed and a kitchen visually separated in the same room. 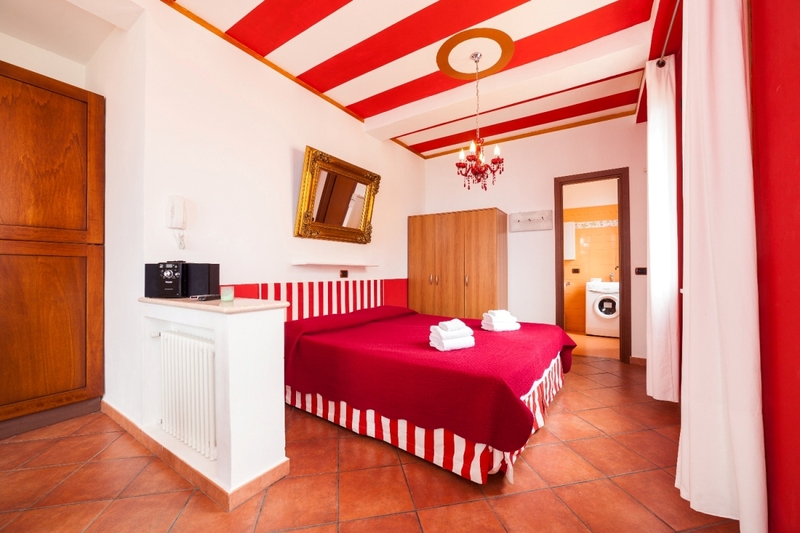 Located only a 5 minute walk from the hotel, it is beautiful decorated in red, white and brown colors and leads directly to a balcony and a big furnished terrace with wonderful view over the Caldura Bay and the North-East coast of Sicily. Stairs lead to a private pebble/stone beach. The sea is clear and invites you to take a bath or to do some snorkeling! 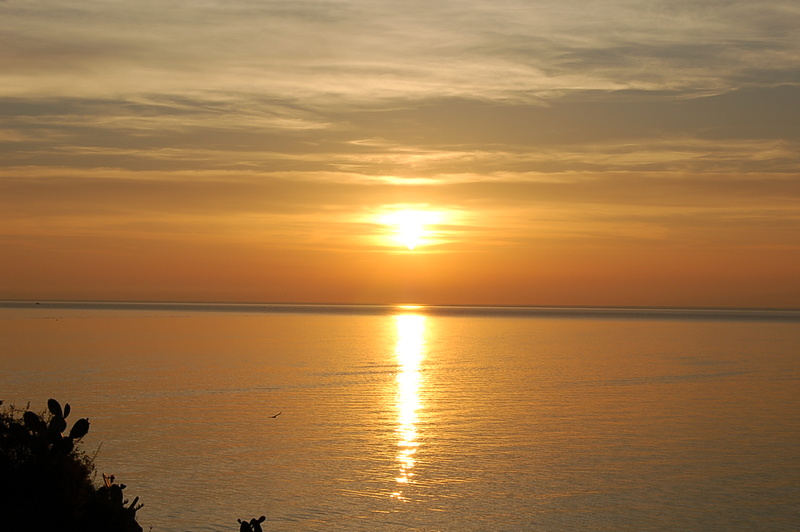 Enjoy the quietness and beautiful surrounding of this part of Cefalù, close to a bird sancturary. Enjoy the sunrise in the morning and a romantic dinner at night when Pollina on the opposite mountain is illuminated. 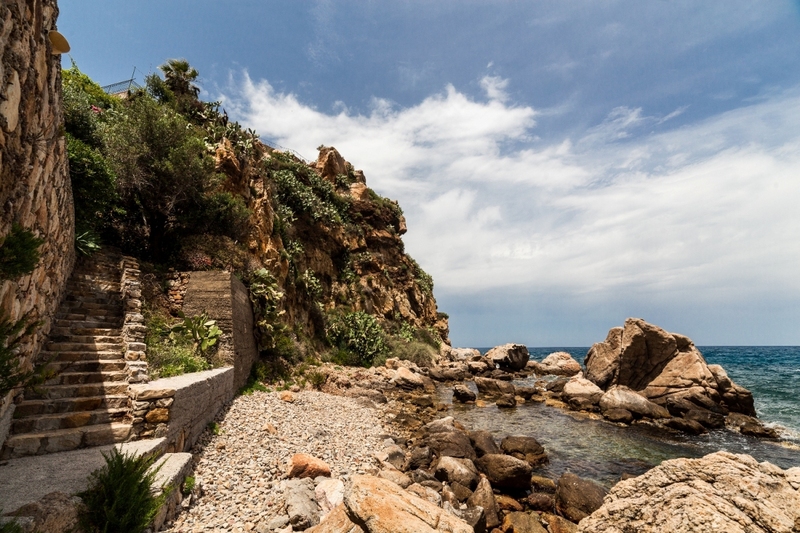 Go swimming, take a sun bath, book a trekking tour in the hotel or walk around in the mediveal town of Cefalù with its famous Normanic cathedrale, that is part of the world’s heritage of the UNESCO. 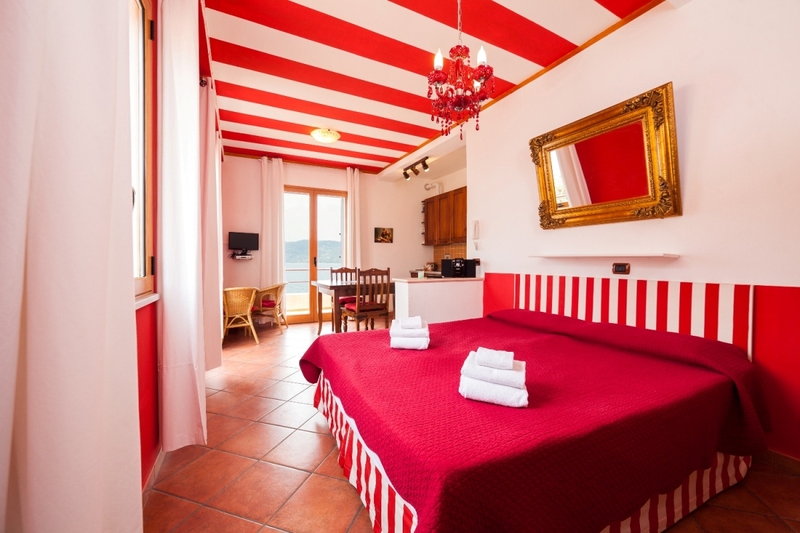 Relax and enjoy your vacation at one of the most beautiful coasts of Italy! 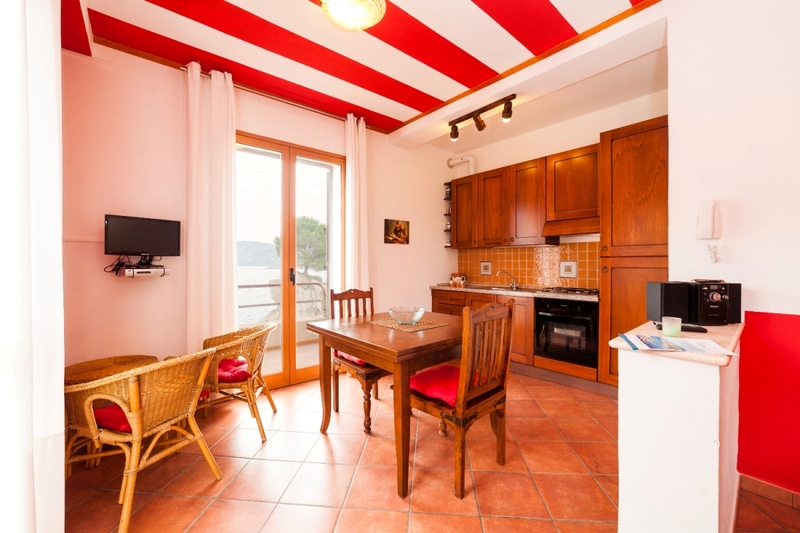 Ester D offers a fully equipped kitchen, a bathroom with shower, WC/bidet, hairdryer, slippers and beach towels, free wifi, mosquito screens at the windows, ventilators and a safe.